For today, I’m excited to reveal the trailer for the book. If you haven’t already, check out the links below for other posts related to the book. Winner will be chosen on or shortly after November 17, 2014. The prize will be the winner’s choice of Corgi Capers 1, 2, or 3. Paperback copy available only to U.S. addresses. International winners will receive choice of ebook version instead. To enter, simply sign up to follow this blog via email. Valid email address required: winner will be contacted via the email address used to sign up to follow the Corgi Capers blog. If winner does not respond to notification within 48 hours, we reserve the right to choose a new winner. Void where prohibited. I’ve already blogged about the winners of the Name that Cat contest and about the inspiration of one of the winning names. Being inspired to enjoy life is a constant theme in Corgi Capers, as Zeph (inspired by my own fraidy-dog Yoda) is afraid of most things. I’m pleased to be working with Yuming Cao to bring this bravery to life through illustration, and this illustrated corgi book will also be available soon. 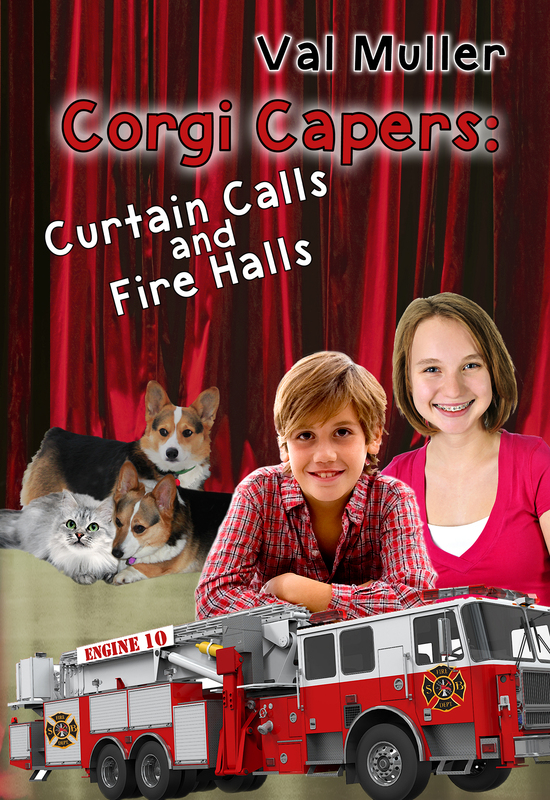 Posted on November 10, 2014, in corgi, corgi capers, giveaway, inspiration. Bookmark the permalink. Leave a comment.